Blogging: Creating content and managing my blog is probably the number one thing I struggle balancing with being a student. I am so incredibly passionate about it, but I also stand firm in my belief that it shouldn't compromise my success in school. Although, instead of opting for Netflix in the evenings or mindlessly scrolling through social media between classes, I want to develop better time management and adhere to posting four days a week. Additionally, I'd love to get out of my comfort zone by talking on Instagram stories more and showing snippets of my daily life. Long story short, I want to be all in on creating fresh and consistent content for y'all! School: Like I said, it's my last semester of college, and I really want to finish with a bang! I'm thinking better time management, so I'm not hurriedly finishing assignments right before they're due as well as embracing my new role as a social media editor for my campus' newspaper! Faith: I'm definitely not as consistent with daily prayer journaling as I used to be (I literally never missed a day), so I'd love to really jump back into that habit this year. For me, that's been the best way to be all in with my relationship with God. On that same note, my friend Nicole shared a Bible reading plan that I can start doing alongside her, which will help with accountability, too! Relationships: Speaking of relationships, I also want to give those in my life the time and attention they deserve. For me, that may mean managing my time in a way that will be flexible with spontaneity and allow me to fully take advantage of living within 10 minutes of all my friends for the next four months! Among everything else in my life, I want to ensure that my friends and family stay at the top of my priority list because, honestly, when it's all said and done, it's the people and the way you love them that matters most. Wellness: If you know me, you know wellness hasn't been on my radar for quite a while now, but I think my roommate said it best when she said that it looks like I'm turning over a new leaf. While Oreos will not be leaving my diet any time soon, I do want to try cooking at my apartment more often. I've even already started trying some new Pinterest recipes, one of which led to me spilling a pitcher of water all over my stove and kitchen while cooking a sandwich haha! I also just started taking barre classes, which I LOVE, even when my body can barely move the next morning! Overall, lukewarm is no good, and that's how I felt for most of 2018. Instead, for 2019, I want to seize each day with a sense of passion and dedication toward everything I do. 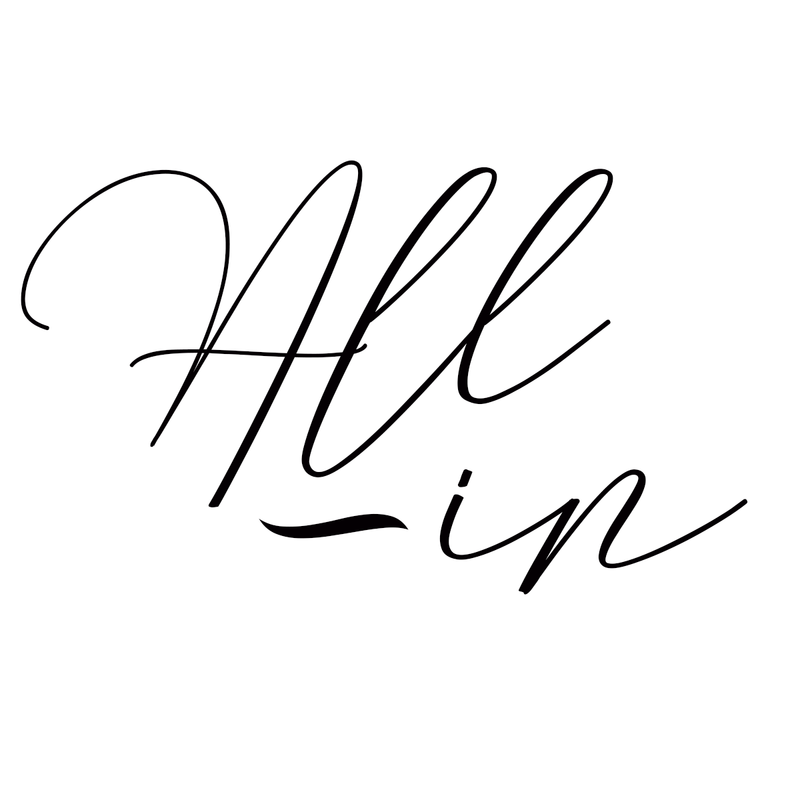 Simply put: I want to be all in! What are you focusing on this year? I'd love to hear and get more ideas in the comments below!